Adopted on November 6, 1861 (Territory). 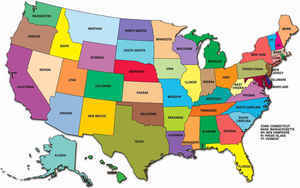 Adopted on March 15, 1877 (State). The circular Seal of the State of Colorado is an adaptation of the Territorial Seal which was adopted by the First Territorial Assembly on November 6, 1861. 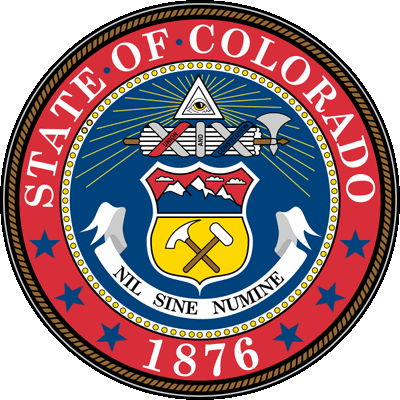 The only changes made in the Territorial Seal design being the substitution of the words, "State of Colorado" and the figures "1876" for the corresponding inscriptions on the territorial seal. 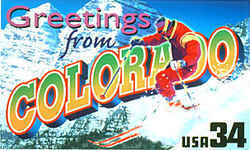 The first General Assembly of the State of Colorado approved the adoption of the Seal on March 15, 1877. 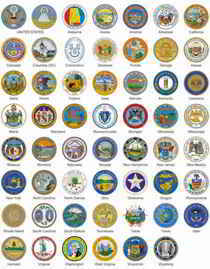 The Colorado Secretary of State alone is authorized to affix the Great Seal of Colorado to any document whatsoever. By statute, the seal of the state shall be such size as specified by the secretary of state by rule adopted in accordance with article 4 of this title, with the following device inscribed thereon: At the top is the eye of God within a triangle, from which golden rays radiate on two sides. Below the eye is a scroll, the Roman fasces, a bundle of birch or elm rods with a battle axe bound together by red thongs and bearing on a band of red, white and blue, the word, "Union and Constitution." The Roman fasces is the insignia of a republican form of government. The bundle of rods bound together symbolizes strength which is lacking in the single rod. The axe symbolizes authority and leadership. Below the scroll is the heraldic shield bearing across the top on a red ground three snow-capped mountains with clouds above them. The lower half of the shield has two miner's tools, the pick and sledge hammer, crossed on a golden ground. 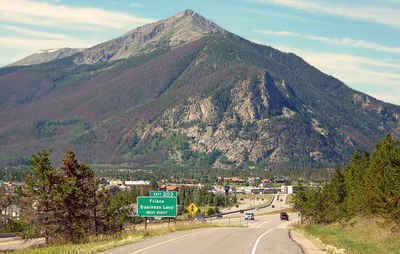 Below the shield in a semicircle is the motto, "Nil Sine Numine", Latin words meaning "nothing without the Deity", and at the bottom the figures 1876, the year Colorado came into statehood. The Latin phrase "Nil Sine Numine", was adopted as part of the Territorial Seal. At recurring intervals, discussion has ensued concerning interpretation of this Latin phrase which commonly translated is "Nothing without Providence". Others say it is "Nothing without God". In the early mining days of the State, the unregenerate said it meant "nothing without a new mine". In a strict sense, one cannot possibly get "God" from "numine", God being a purely Anglo-Saxon word. The word "numine" means any divinity, god or goddess. The best evidence of intent of Colorado's official designers and framers of the resolution for adoption of the seal is contained in the committee report wherein clear distinction was made between "numine" and "Deo" and it is specifically states that the committee's interpretative translation was "Nothing without the Deity". 24-80-901. Size and description of seal. The seal of the state shall be such size as specified by the secretary of state by rule adopted in accordance with article 4 of this title, with the following device inscribed thereon: An heraldic shield bearing in chief, or upon the upper portion of the same, upon a red ground three snow-capped mountains; above surrounding clouds; upon the lower part thereof upon a golden ground a miner's badge, as prescribed by the rules of heraldry; as a crest above the shield, the eye of God, being golden rays proceeding from the lines of a triangle; below the crest and above the shield, as a scroll, the Roman fasces bearing upon a band of red, white, and blue the words, "Union and Constitution"; below the whole the motto, "Nil Sine Numine"; the whole to be surrounded by the words, "State of Colorado", and the figures "1876". Source: G.L. 2422. G.S. 3117. R.S. 08: 6291. C.L. 486. CSA: C. 152, 1. CRS 53: 131-8-1. C.R.S. 1963: 131-8-1. L. 2008: Entire section amended, p. 77, 1, effective August 5. 24-80-902. Punishment for illegal use. Any person who illegally uses or affixes the seal of this state to any written or printed document whatever, or fraudulently forges, defaces, corrupts, or counterfeits the same, or affixes said forged, defaced, corrupted, or counterfeited seal to any commission, deed, warrant, pardon, certificate, or other written or printed instrument, or has in his or her possession or custody any such seal, knowing it to be falsely made and counterfeited, and willfully conceals the same, commits a class 5 felony and shall be punished as provided in section 18-1.3-401, C.R.S. Source: G.L. 2423. G.S. 3118. R.S. 08: 6292. C.L. 487. CSA: C. 152, 2. CRS 53: 131-8-2. C.R.S. 1963: 131-8-2. L. 77: Entire section amended, p. 880, 53, effective July 1, 1979. L. 89: Entire section amended, p. 845, 116, effective July 1. L. 2002: Entire section amended, p. 1535, 259, effective October 1. Editor's note: The effective date for amendments made to this section by chapter 216, L. 77, was changed from July 1, 1978, to April 1, 1979, by chapter 1, First Extraordinary Session, L. 78, and was subsequently changed to July 1, 1979, by chapter 157, 23, L. 79. See People v. McKenna, 199 Colo. 452, 611 P.2d 574 (1980). Cross references: For the legislative declaration contained in the 2002 act amending this section, see section 1 of chapter 318, Session Laws of Colorado 2002. 24-80-903. Secretary of state alone can affix - custodian. The secretary of state is alone authorized to use or affix the seal of this state to any document whatever, and he only in pursuance of law. The secretary is made the custodian of the seal of the state and responsible for its safekeeping. Source: G.L. 2424. G.S. 3119. R.S. 08: 6293. C.L. 488. CSA: C. 152, 3. CRS 53: 131-8-3. C.R.S. 1963: 131-8-3. Secretary of state is the only officer authorized to affix seal. The plain meaning of this section is that the office of the secretary of state, as opposed to that of the attorney general or the state treasurer or any other state office, is alone authorized to affix the seal of the state of Colorado to any document. Hithe v. Nelson, 172 Colo. 179, 471 P.2d 596 (1970). The act of affixing the seal is ministerial and can be delegated by the secretary of state to a deputy. Hithe v. Nelson, 172 Colo. 179, 471 P.2d 596 (1970).